Kappa Kappa Psi hosted Acoustics in April for bands and student music groups to perform in a free concert on the UC Front Lawn. 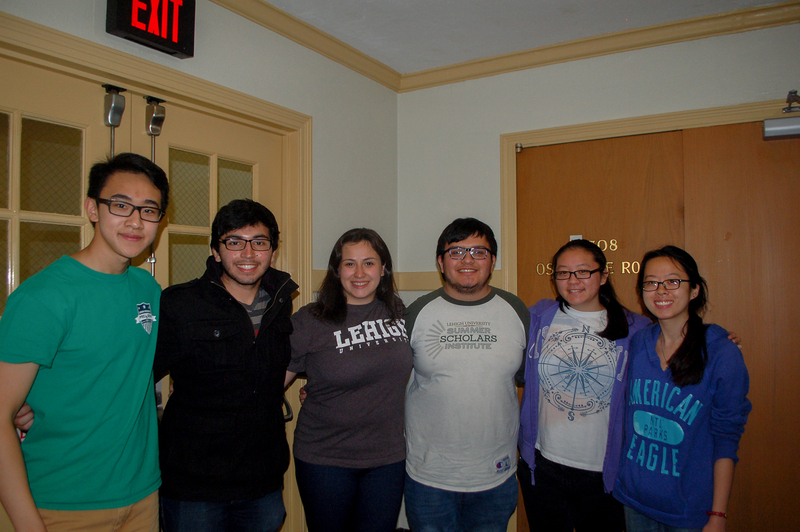 Kappa Kappa Psi is a national music service fraternity at Lehigh that focuses on the band program. The co-ed chapter has participated in fundraising projects and provided service for 20 years. 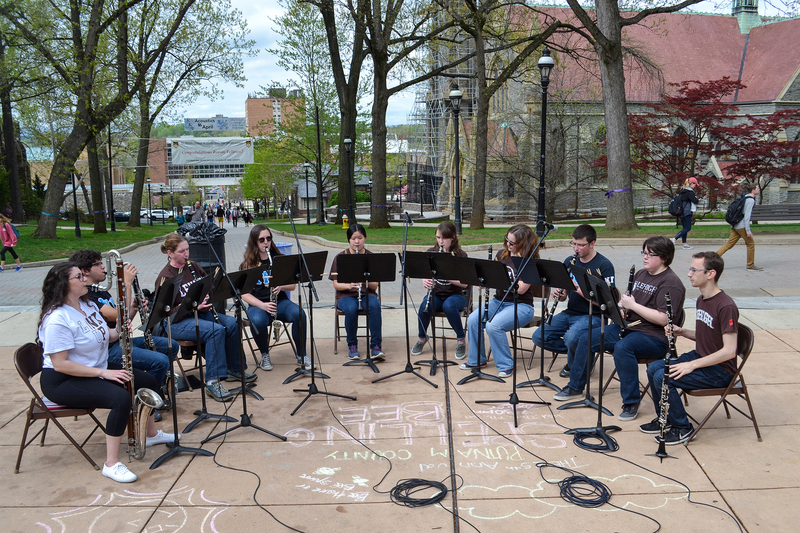 Acoustics in April was an event created for the entire Lehigh community. “We put on this event kind of just to spread the love of music with the rest of campus every April,” said Evan Choy, ’20, a member of Kappa Kappa Psi. The concert featured jazz and brass ensembles, trios and casual coffee shop-styled performances. Students watched and listened in chairs or on the grass across the UC Front Lawn. Other performers and members of Kappa Kappa Psi were there to show their support for each other. There were 10 groups, each responsible for playing for a 30-minute time period. The entire concert lasted four hours. Free food, ranging from cookies to chips, was offered to students who attended the event. The purpose of the free concert was to share musical talents of Lehigh students and to offer any students a place to de-stress while enjoying good music. Ten to 20 students stayed on the front lawn to talk with friends and do homework while listening to the performances. A few also walked by to quickly get some snacks. “Much of the programming that is done on campus is coordinated by students — student organizations, fraternities and sororities,” said Matthew Kitchie, the director of the Office of Student Activities. The members of Kappa Kappa Psi contacted the Office of Students Activities to suggest the idea of Acoustics in April, and the office reserved the front lawn for the event. The staff also helped with set up. Kitchie said the Office of Students Activities often comes up with ideas for events on campus, such as Make and Take at Lamberton Hall. However, it is more frequent for students to take initiative and organize and hold events. “What often happens is an organization or an office like the Pride Center, Global Union, Dance Marathon, Relay for Life and other ones will approach the staff person in our office,” Kitchie said. The music service fraternity was responsible for Acoustics in April. The event just had to be approved by Students Activities, and it had to be within the available budget. Organizations like Kappa Kappa Psi are allowed the freedom to plan a specific event to their liking. Students approved of the thought behind the event and the low-key atmosphere.